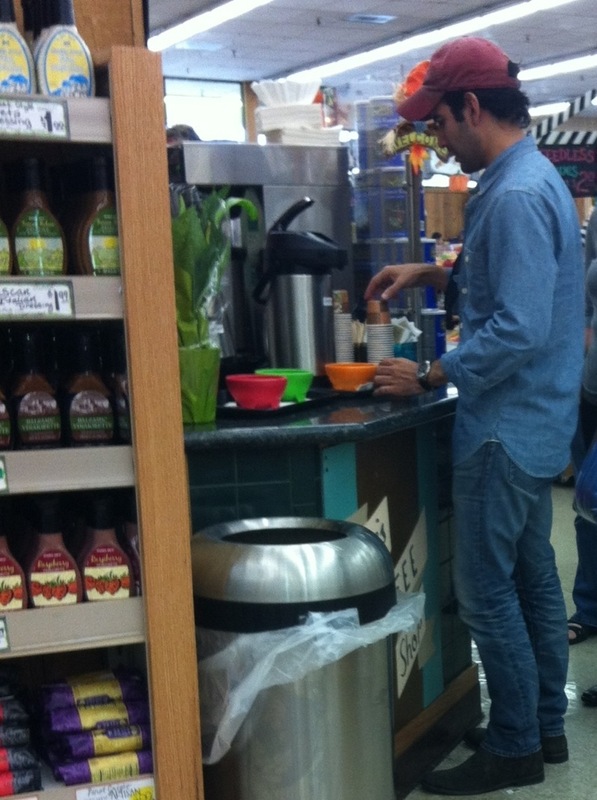 I caught this dapper Denim Dan grabbing a sample of coffee at Trader Joe’s on Santa Monica and Poinsettia last night. What a refreshing site. The only double denim I usually see there is on old Russian ladies and pretty tragic at that. This entry was posted on Monday, October 31st, 2011 at 8:07 pm	and tagged with Canadian Tuxedo, Denim, Fashion, groceries, Jeans, Santa Monica, Santa Monica Boulevard, shopping, Trader Joe's, West Hollywood and posted in In The Wild. You can follow any responses to this entry through the RSS 2.0 feed.